Rob Skiba launched several high-altitude balloons to record the curvature of the Earth, or the lack of it as he hoped. He used a customized GoPro camera to eliminate the inherent barrel distortions in stock GoPros and record a flat horizon instead of a distorted one. His results show the curvature. But he refused to accept it, and his conclusion said it is flat, without spending any effort to measure it as others did. Jeran Campanella of Jeranism has recorded the lunar transit of the ISS. With a respectable result, too. 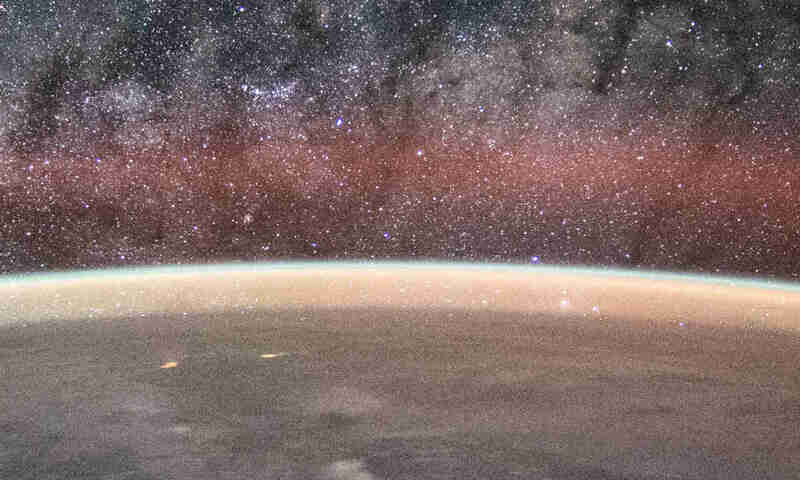 The ISS transit only happens for less than 2 seconds at a time. Recording the transit of the ISS requires planning in advance and meticulous preparation. It also involves calculation involving the orbital parameters of the ISS, and thus requires the understanding of the correct figure of the Earth, which is a sphere. Jeran obviously did not do the calculations himself, but if the math can reliably predict the exact time and location of an ISS transit, down to the exact second, then the Earth must be a sphere. Jeran did not accept such an obvious conclusion. But instead, he used the various old excuses to dismiss the existence of the ISS, again. FE101, a community of flat Earth victims in Indonesia, performed a nationwide large-scale Eratosthenes experiment. Their goal is to measure the distance to the Sun, as well as to determine which one of the flat & sphere model more correctly represent the actual shape of the Earth. They apparently cannot get a consistent figure for the distance to the Sun. On the other hand, the globe model always yielded the consistent Earth’s circumference, proving the sphere model more accurately describe the Earth. They refused to accept such reality. Half of their leaders spent a week to manipulate the results by hiding “bad” data. The rest of them tried to find solace with an unscrupulous flat-Earther who calls himself Dr.Zack. Dr.Zack then provided them with just another made-up “explanation” why such result can happen with a flat Earth. 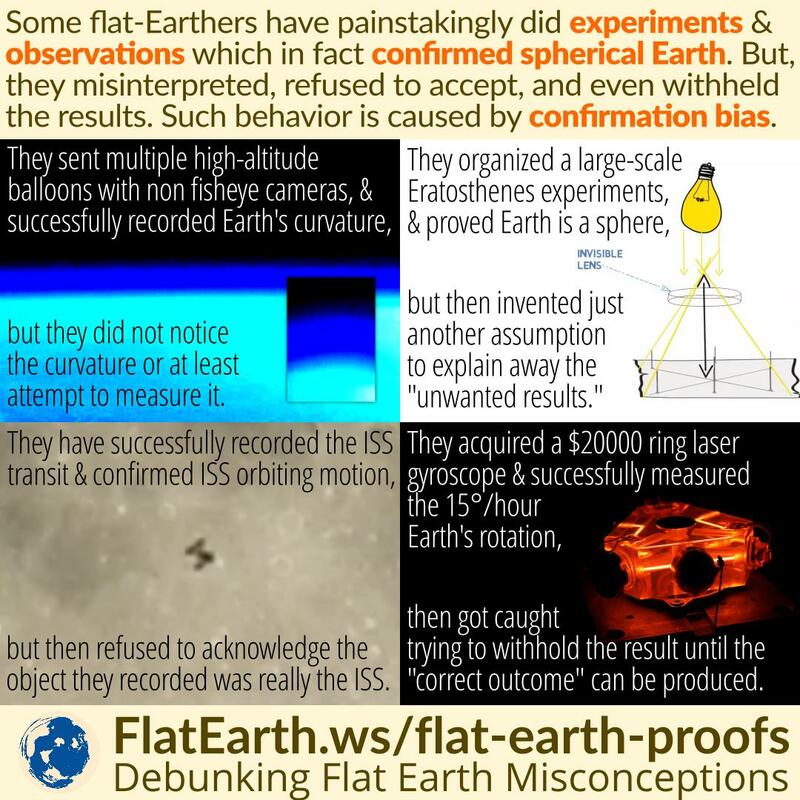 The Documentary “Behind the Curve” revealed that the flat-Earth personality Bob Knodel of the Globebusters fame had acquired a $20000 ring laser gyroscope to prove Earth is motionless beyond any doubt, once and for all. The gyroscope had other ideas. It recorded a 15°/hour motion which is consistent with the rate of Earth’s rotation. Unwilling to disclose the obvious conclusion, Knodel tried to withhold the result until he can produce the “correct result” with the gyroscope. So far he can’t (and won’t) get the result he wanted.